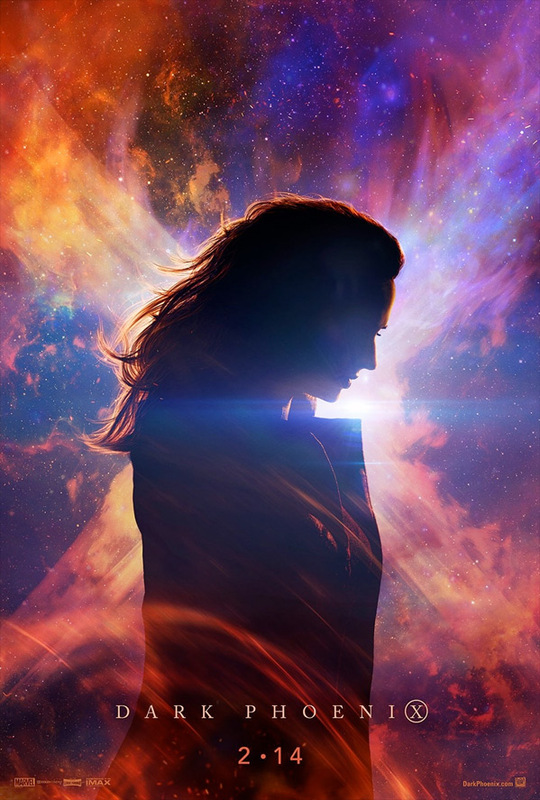 "They can't begin to comprehend what you are…" 20th Century Fox has finally debuted the first trailer for Dark Phoenix, the next big X-Men movie focusing on Jean Grey as she becomes the "Dark Phoenix". This is all connected to the previous X-Men series, and brings back a few of the characters from the most recent movies. Sophie Turner (from "Game of Thrones" and Josie) replaces Famke Janssen as Jean Grey; she already appeared in X-Men: Apocalypse in 2016 as Phoenix. The cast includes many old and new members: James McAvoy, Jennifer Lawrence, Evan Peters, Michael Fassbender, Nicholas Hoult, Kodi Smit-McPhee, Alexandra Shipp, plus Jessica Chastain, Ato Essandoh, and Scott Shepherd. This looks a bit different than expected, not as much action. And definitely more of a bigger X-Men movie than something small and focused, but perhaps they felt it was necessary to connect with audiences of all kinds. Jean Grey (Sophie Turner) begins to develop incredible powers that corrupt and turn her into a Dark Phoenix. Now the X-Men will have to decide if the life of a team member is worth more than all the people living in the world. The next saga in Fox's X-Men franchise of movies. X-Men: Dark Phoenix is directed by industry veteran, English writer-producer Simon Kinberg, making his feature directorial debut with this film after producing various superhero movies for the last 20 years, including X-Men: First Class, Days of Future Past, Logan, Deadpool, and The Martian. The screenplay is also written by Simon Kinberg, based on the "The Dark Phoenix Saga" comics storyline by John Byrne, Chris Claremont, and Dave Cockrum. After being delayed from first opening this summer, 20th Century Fox will finally release Kinberg's X-Men: Dark Phoenix in theaters everywhere starting on June 7th, 2019 next summer. First impression? Looking good?